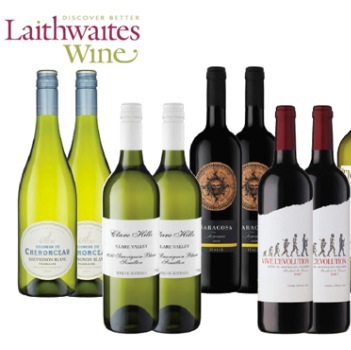 Laithwaites is attempting to ease Christmas panic buying by extending its final order deadline for wines and festive hampers until 1pm on Thursday 22 December. Last year the online retailer witnessed a last-minute surge in orders from 16-21 December as shoppers sought to finish off their gift and wine shopping before Christmas Day and experts are expecting a similar rush this week. The Epicta Christmas 2011 Retail Experience Study says 46% of UK shoppers will be doing last minute online shopping this week. Other retailers, such as Virgin Wines, have set 21 December as the deadline for Christmas orders, but Laithwaites believes its extended order deadline will mean it is “perfect for picking up an eleventh-hour hamper for the in-laws, some emergency festive bubbly or a final tipple to enjoy with the turkey”. The festive hampers on offer at Laithwaites range from the Festive Indulgence hamper (£60), which includes a range of sweet and savoury foods along with three bottles of best-selling wine, through to the Luxury Christmas Hamper (£300), which features seven bottles of wine alongside a plethora of festive treats.